Contact Assouline & Berlowe, P.A. Peter A. Koziol is a partner in the Boca Raton Office and co-heads the firm's Intellectual Property Practice. He is also a member of the Intellectual Property Practice, International Business Practice, and Litigation and Dispute Resolution Practice. As a Registered Patent Attorney, Mr. Koziol focuses his practice on business counseling, patent applications, prosecution, and commercial litigation. He is experienced in taking cases from initial planning through judgment, appeal, post judgment execution, garnishment, and collection. He assists businesses, top management, business leaders and executives throughout the entire business life cycle. Mr. Koziol represents individual entrepreneurs and private and public companies. His individual inventor clients have been featured on Today™, Shark Tank™, Oprah™’s favorite things, E!™ , NYC Fashion Week™, American Idol™, Vogue™, Extra™, MTV™ and other mainstream and specialty media outlets. Corporate clients have included private equity, investment, and alternative investment management companies; hedge funds including fund of funds; real estate and cash management firms; multinational corporations. Mr. Koziol has also represented clients before the United States Customs and Border Patrol and U.S. Department of Commerce International Trade Administration. Mr. Koziol has a substantial technical and business background. He is an accomplished software engineer, software developer, business and quality assurance analyst, and consultant. As an experienced computer programmer, he has an expert understanding of data structures, algorithms, software design methodologies, and fluency in a variety of computer languages. Mr. Koziol has directed domestic and international software development teams. He has developed risk management and analysis software for private financial investment companies utilizing various proprietary hedging techniques and real time and predictive analysis of market data. Significantly, Mr. Koziol was, for 13 years, Chief Executive Officer of a New York-based software publishing company. And, he contributed to hundreds of major internationally published software titles, including multimillion dollar sellers and SIIA Codie Award winners. Mr. Koziol is experienced representing pioneers and large companies in network communications disputes including patent litigation involving IEEE and various other industry standards such as TCP/IP, 802.11, SMS, MMS messaging systems and GSM/CDMA protocols. He has also been involved in a number of projects involving swarming technologies, artificial intelligence, pattern recognition, and unmanned vehicles including unmanned aerial vehicles (UAVs). 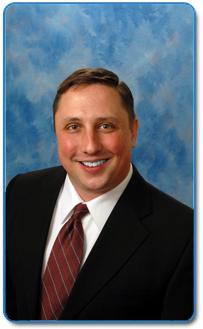 Mr. Koziol represents business clients in a full-range of intellectual property and business matters. He assists clients with business planning and formation; business audits and regulatory compliance; and protecting a company’s intellectual property. Of particular interest are: amusement inventions; computer software inventions; aerospace inventions; green energy inventions; new foods and drugs; international business organizations; domestic and offshore special purpose entities; and structured products. ElcomSoft, Ltd. v. Passcovery Co., Ltd., --- F.Supp.2d ----, 2013 WL 3972517 (E.D.Va. July 31, 2013). APP Pharmaceuticals, LLC v. Ameridose, LLC, Civil Action No. 10–4109-JAP (D.NJ) (patent litigation involving anesthetic drug known as ropivacaine. Cantiere Nautico Cranchi, S.p.A. v. Luxury Marine Group, LLC, 2009 WL 3538722 (S.D. Fla. Oct. 28, 2009). Mitch Strohm, “Patent Reform: Supporting Or Stifling U.S. Innovation?” (THELAW.TV June, 14 2013). Morley, Hugh R., “ Youngest person charged by SEC now in Wayne and in hot water again ” (North Jersey, The Record, Sunday, June 27, 2010). “ Protection of the Moral Rights of the Digital Graphic Artist”, co-author, Florida Bar Journal (2007), republished in 25 The Computer & Internet Lawyer 21 (2008). Copyright © 2018, Assouline & Berlowe, P.A.